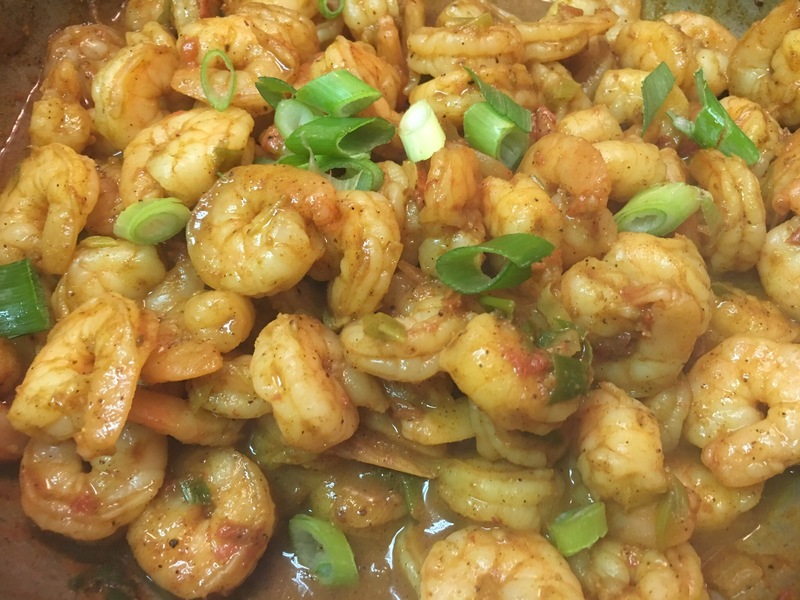 Curried Shrimp – Hurried Home Chef! 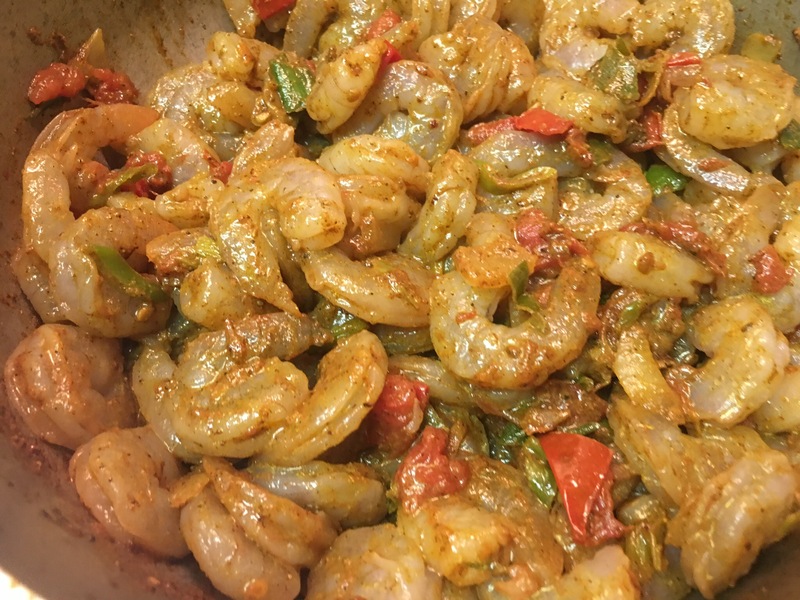 I can curry a lot of things, shrimp is a fast favorite. This can be done in 20 minutes– easy! 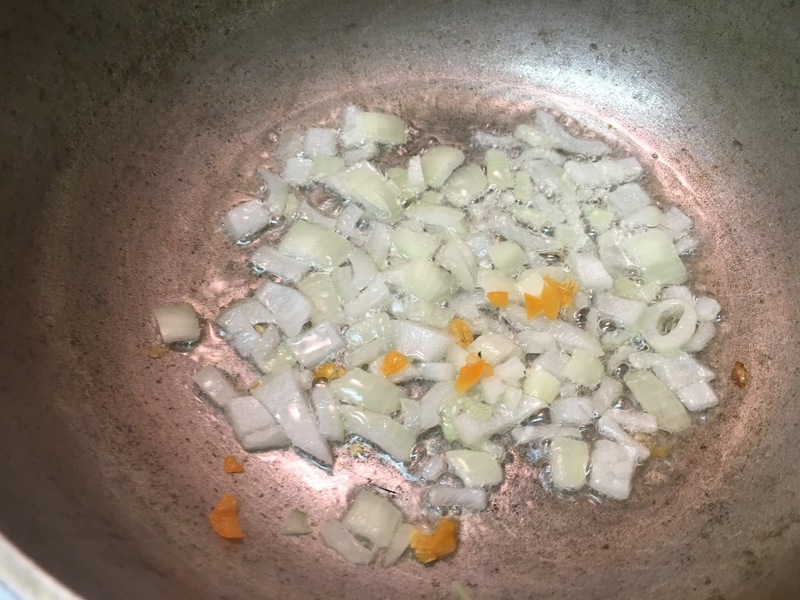 Start by sautéing onion and hot pepper on medium high heat. 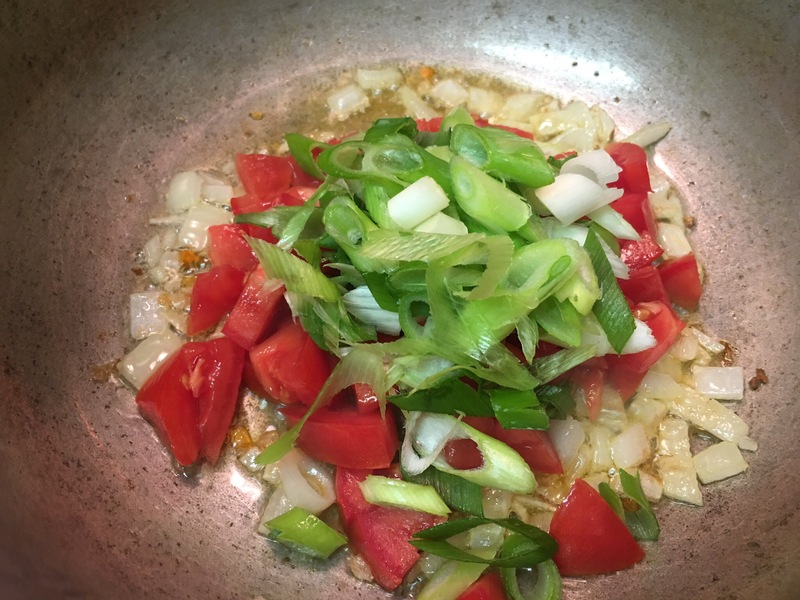 Add tomato, garlic, and green onion. 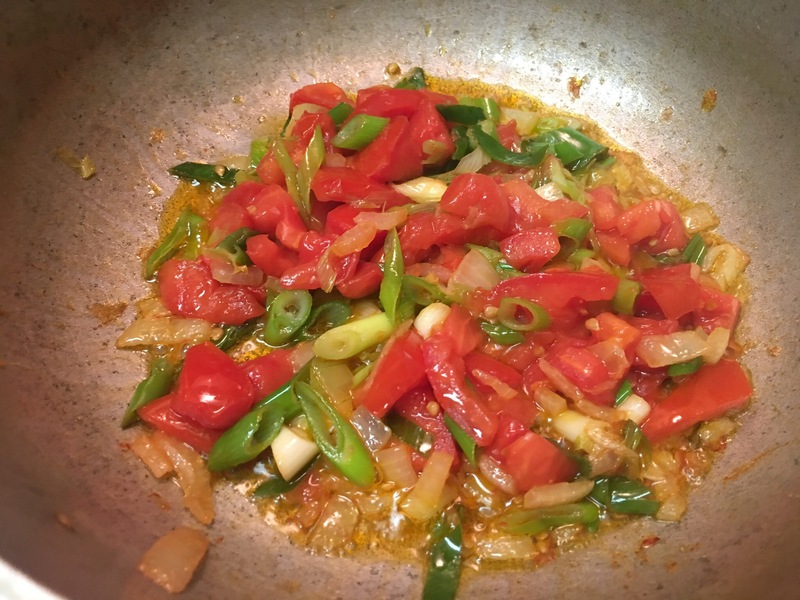 Cook a bit until the tomatoes are easily broken by the back of a spoon. This is about 3-5 minutes later. You can also use a little tomato paste here too. Then I add the curry powder with masala mixture that I thinned out with some water. Cook this well to be sure the spices get released. You do want this to be fairly dry though, the shrimp will lose water. 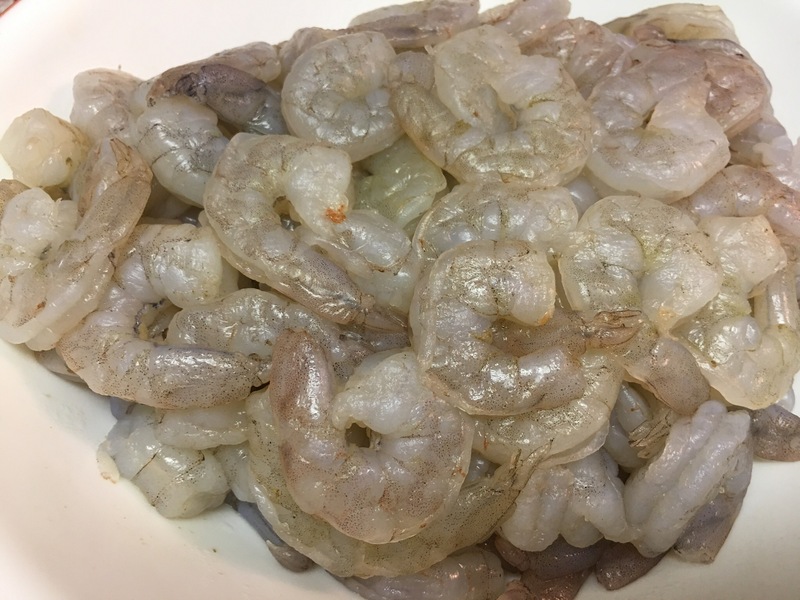 I used white shrimp, that was peeled, deveined, and washed with lemon juice, then pat dry and put back in the fridge. I can’t tell you why my granny specifically does this, but that’s how it goes sometimes. Add and stir and cover, reducing the heat to medium, for about 5 minutes. These cook very fast, and there is a thin line between cooked thru and rubbery-gross. Then top with some raw green onions. Once they are cooked, turn off the stove and move the pot off the heat. Leave uncovered. 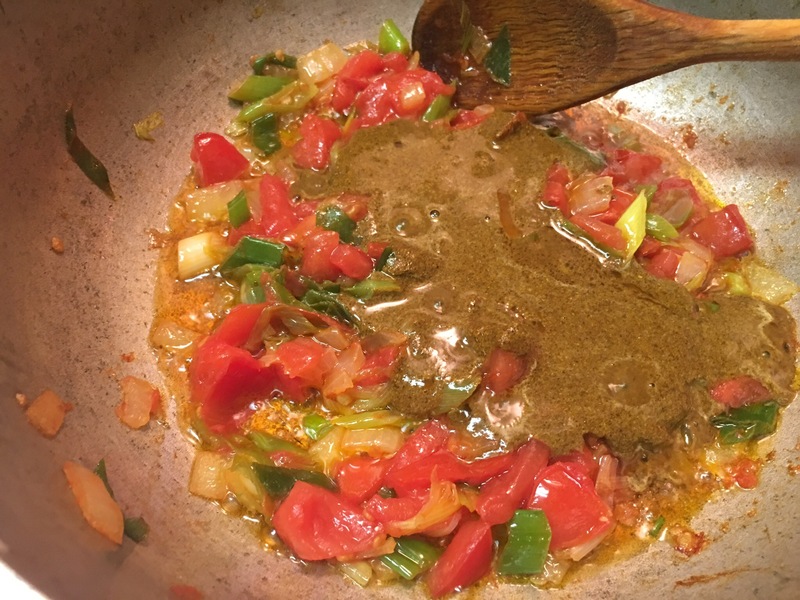 If you have ended up with thin watery sauce, remove the shrimp and cook the sauce down more. 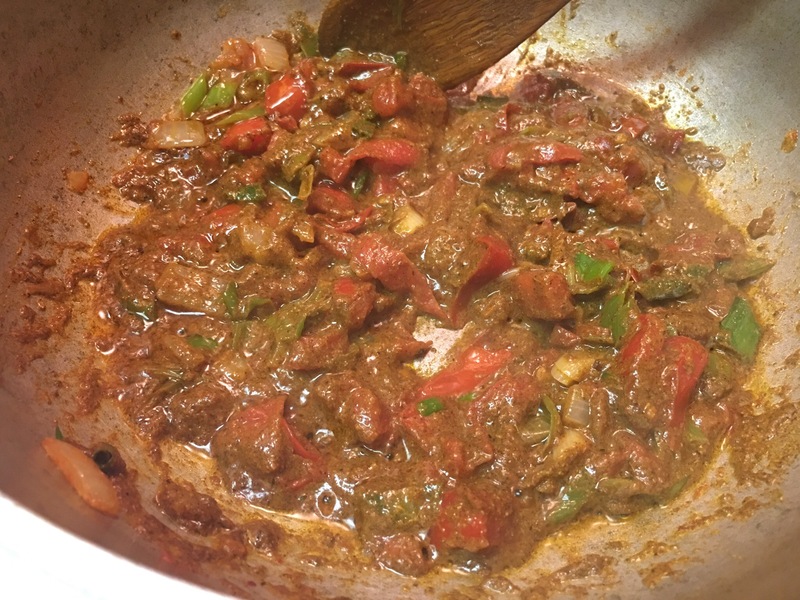 Next Post Sautéed Eggplant with Potato…AKA–Bigan and Aloo!